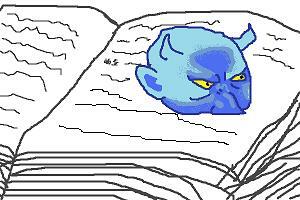 FF5の古代図書館に出てくるアレ。A monster living in a book. Bats is the leading character of Final Fantasy 5. He is very fashionable!